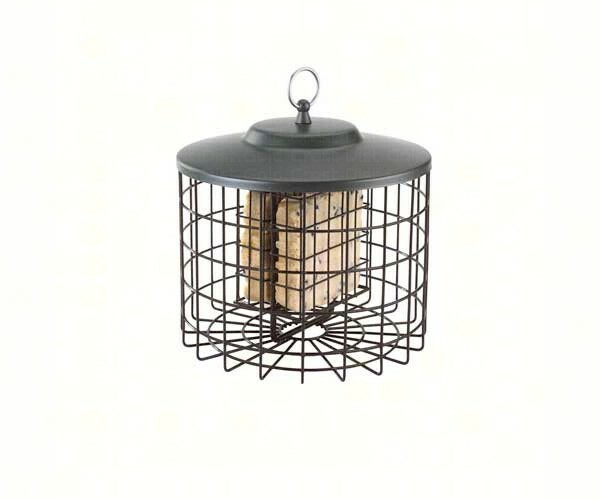 Keep those pesky squirrels and large birds out of your bird suet with this caged suet bird feeder! The Squirrel Proof Double Suet Feeder deters gray squirrels and large birds from reaching suet cakes. Feeder attracts clinging birds such as Woodpeckers, Nuthatches and more. Durable metal construction has a weather-resistant finish.